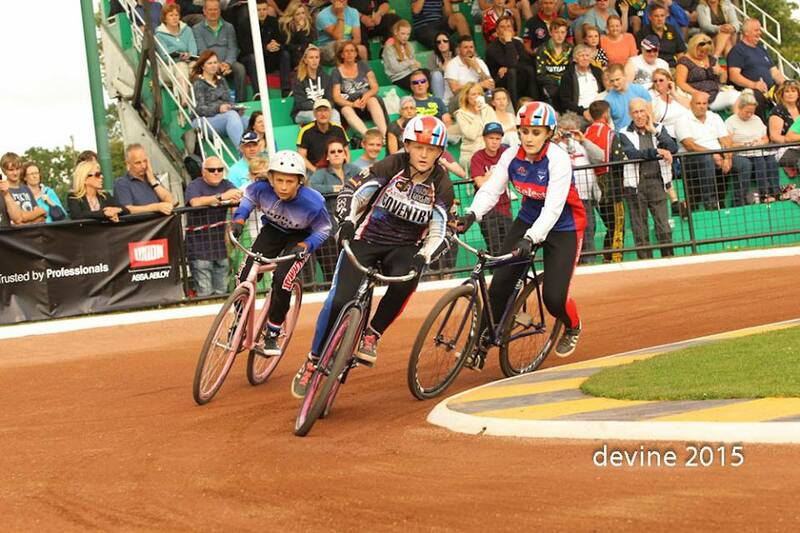 The national highlight of the Cycle Speedway season – the British Championship Finals – takes place this weekend in Ipswich and hopes are high that Coventry riders will enjoy their best ever championships. The Coventry club, who recently enjoyed a successful World championships, have their highest representation in the British finals since the astonishing revival of the pedal sport at Hearsall Common three years ago. They will parade riders in nearly all the age group category finals, underlining the immense progress the club have made on the track in the past three years. The club are confident of providing at least one podium finisher. Their potent challenge will be led by home grown hero Myke Grimes in the senior British Final. Grimes will need to negotiate tricky semi-finals at Suffolk tracks Great Blakenham and Kesgrave to make it a hat-trick of British final appearances. Grimes has established himself as one of Britain’s top riders in recent seasons and made the British Final in 2012 at Newport and at Bury last year. Fresh from starring for Great Britain the recent memorable Test match against Australia at Hearsall Common, Grimes will feel his time has come to mount the podium. Joining Grimes in the open draw is the fast improving Dan Drewett. The 18 year old has worked really hard at his game this year and scores of extra training nights all season has led to a highly polished, fit and ultra fast competitor. Drewett, one of the most popular Coventry riders off track, may well find the competition tough going in the open draw this time around but he also lines-up in the British Under 19s final where he will be more competitive. Josh Marsh and Ollie Morris are the Coventry representatives in the British Junior (under 16s) championship. Should they progress to Monday`s final at the Whitton Sports Centre (Ipswich), they could well be in contention in the final stages. Marsh has recently run into superb form, as illustrated by a full 20 point maximum last Sunday at Leicester. His great friend off track Morris also has the ability to challenge the leader board, with his ability to win races from the back. World woman’s individual finalist Sammi Marsh is one of the stand out favourites to win the British Junior girls final. The 14 year old has become one of the leading girl racers in the sport and a national title would be a highly deserved reward for her years of dedication. Coventry will also mount a strong challenge in the British under 13s final in the dashing form of Jimmy Wassall. The Caludon Castle schoolboy, the son of ex Whitley rider Carl, first began racing in 2007 and his vast experience at this level could well be a telling factor. One of Coventry`s newest recruits, nine year old Jack Reynolds, takes his place in the British Under 10s final on Saturday (29th August) at Great Blakenham. 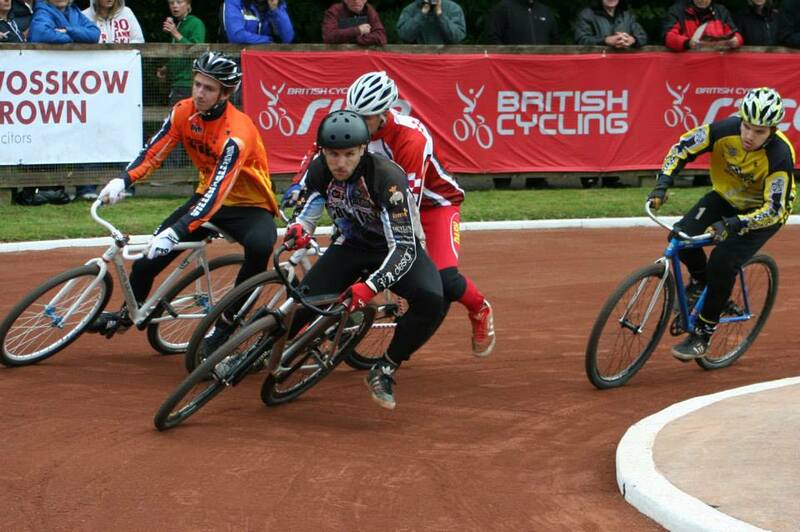 Reynolds, grandson of former 1970s star John, has progressed well after only taking up the sport in June 2014. 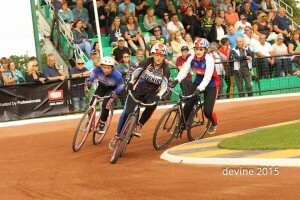 ⟵Party On With Coventry Cycle Speedway!